Sameera, who we haven’t seen on these pages in a long while, attended the Chopra-Jonas reception wearing a green Benarasi sari with a cobalt blue blouse and a pearl and emerald jewellery. Loved the sari choice. Just wish her bronzer hadn’t been that heavy handed. 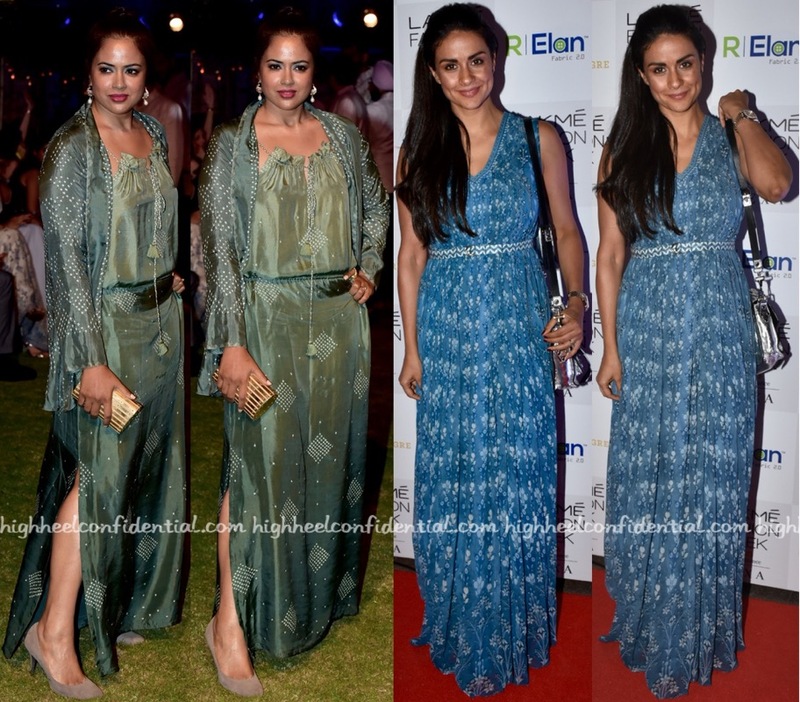 Both Sameera and Gul picked Anita Dongre dresses to wear to the designer’s show. Is there one whose look you are gravitating more towards? 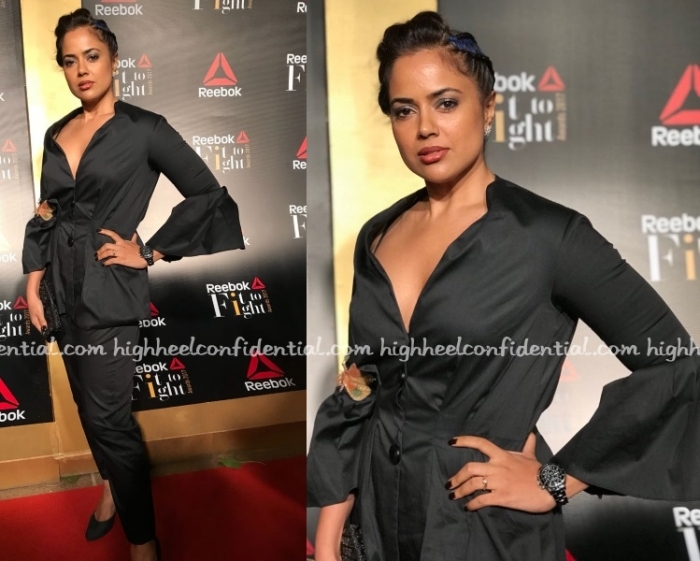 Sameera who took a break from the scene after giving birth was spotted at the Reebok Fit to Fight Awards wearing a Nishka Lulla pant suit. The suit didn’t seem as crisp as it should’ve been and I would’ve preferred an oxblood lip but it was great to see her back. We are looking forward to seeing her more! Sameera tied the knot with businessman Akshai Varde in a traditional Maharashtrian ceremony today in Mumbai. Our best wishes to the newly weds. P.S. 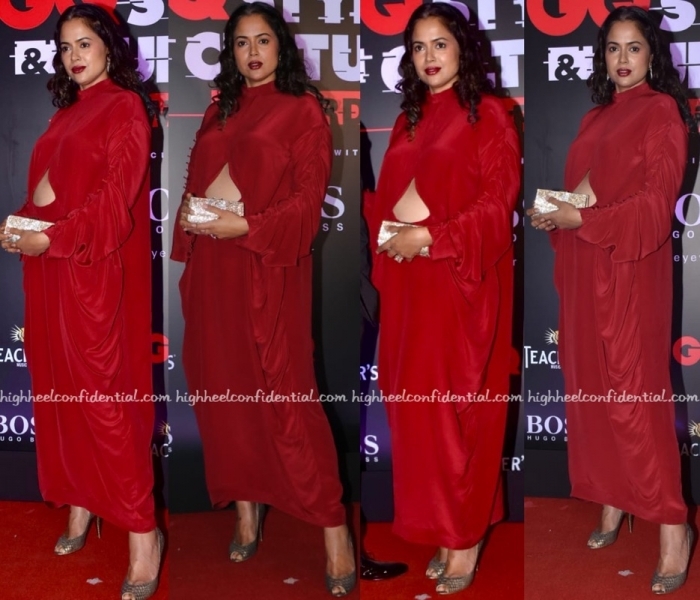 Sameera is wearing a Neeta Lulla sari.